As an ABOG Fellow Stephanie Dinkins will create Project al-Khwarizmi (PAK) with artists, youth, and elders of color to address digital discrimination within artificial intelligence (AI) systems. Working alongside computer and data scientists, Dinkins and collaborators will develop a web-based chatbot to empower communities of color to understand how algorithms and AI systems impact daily life, and create a more culturally inclusive prototype. 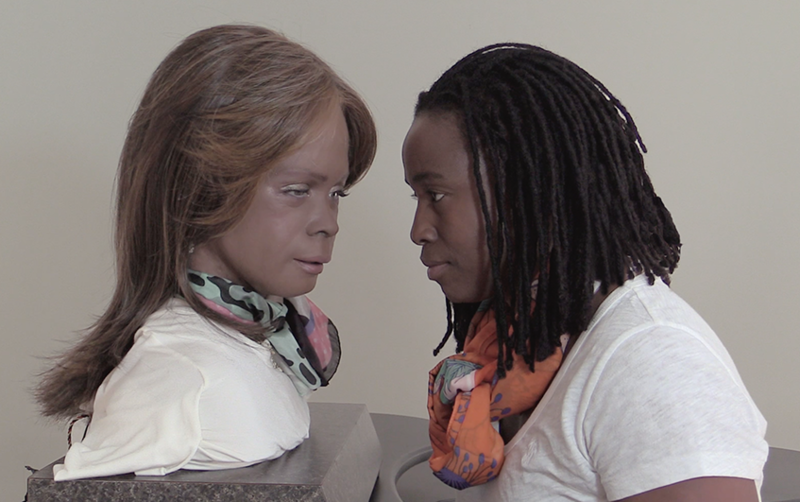 Working to address racism, sexism, and other biases within artificially intelligent systems, the project aims to ensure that people of color and others who inherently understand the need for inclusion, equity and ethics participate in the design, production and testing of smart technologies. PAK is a laterally minded project that will encourage communities of color get involved in AI and provide strategies to help keep biases and discrimination out of newly encoded systems. 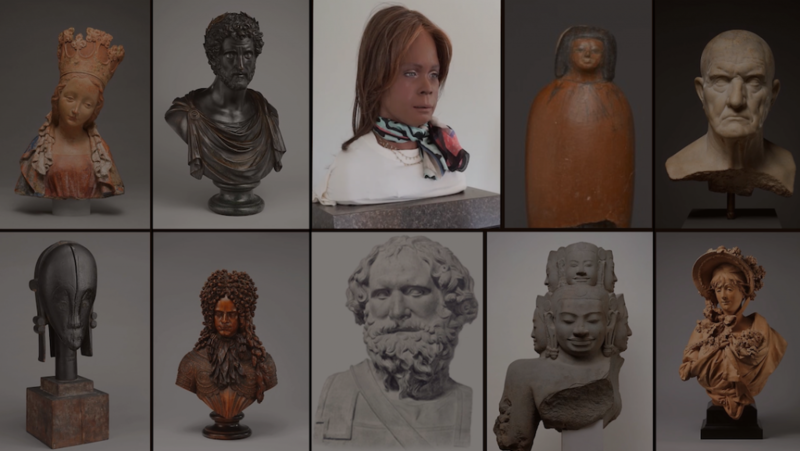 Stephanie Dinkins is an artist interested in creating platforms for ongoing dialog about artificial intelligence as it intersects race, gender, aging and our future histories. 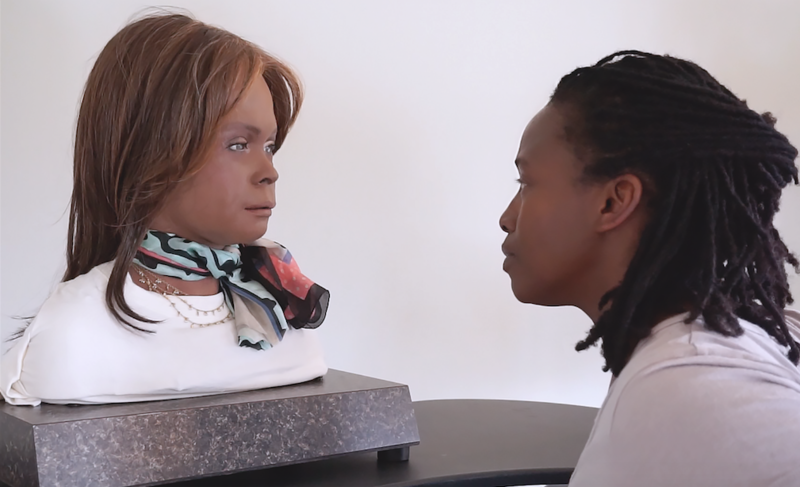 She is particularly driven to work with communities of color to develop deep-rooted AI literacy and co-create more culturally inclusive equitable artificial intelligence. 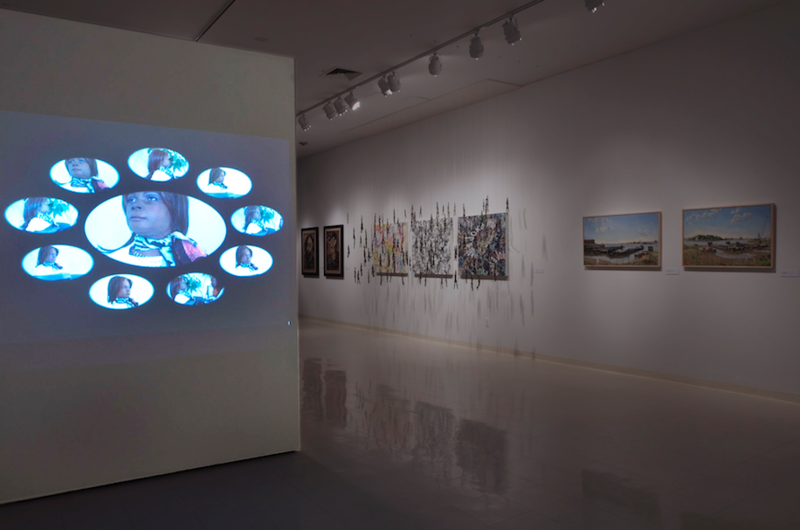 Dinkins’ holds an MFA from the Maryland Institute College of Art. She is also an alumna of the International Center of Photography and the Independent Studies Program of the Whitney Museum of American Art. 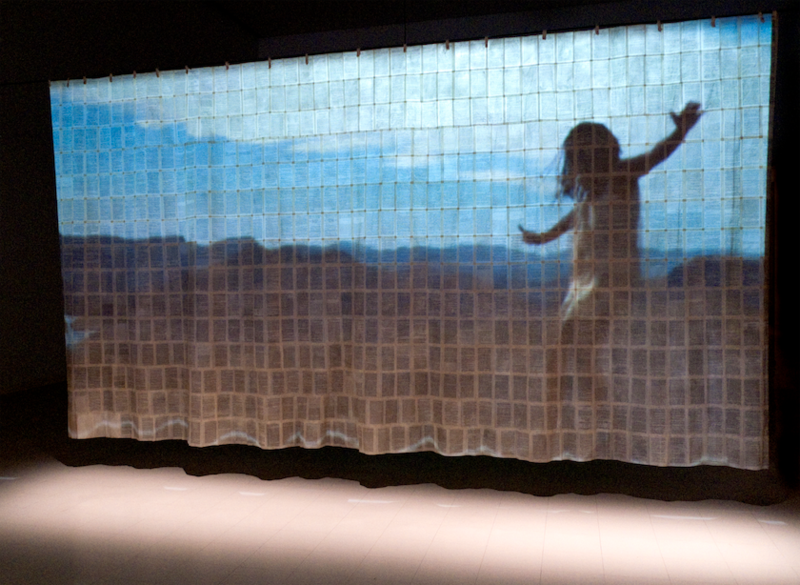 Her artwork is exhibited internationally, at a broad spectrum of community, private and institutional venues by design– including Institute of Contemporary Art Dunaujvaros, Hungary; Herning Kunstmuseum, Denmark; Spellman College Museum of Fine Art; Contemporary Art Museum, Houston; Wave Hill, Studio Museum in Harlem; The Long Island Museum, NY; Spedition Bremen; and the corner of Putnam and Malcolm X Blvd, Bedford-Stuyvesant, Brooklyn. She is the recipient of financial support from Joan Mitchell Foundation, Puffin Foundation, Trust for Mutual Understanding, Lef Foundation, and Residency Unlimited. Artist residencies include the NEW INC, Blue Mountain Center; Aim Program, Bronx Museum; The Laundromat Project; Santa Fe Art Institute, Art/Omi and Center for Contemporary Art, Czech Republic. Her work has written about in media outlets such as The New York Times, Washington Post, and Baltimore Sun and SLEEK Magazine. She is currently an Artist-in-Residence at NEW INC and project catalyst for Team Haptics, Cyborg Futures 2017. 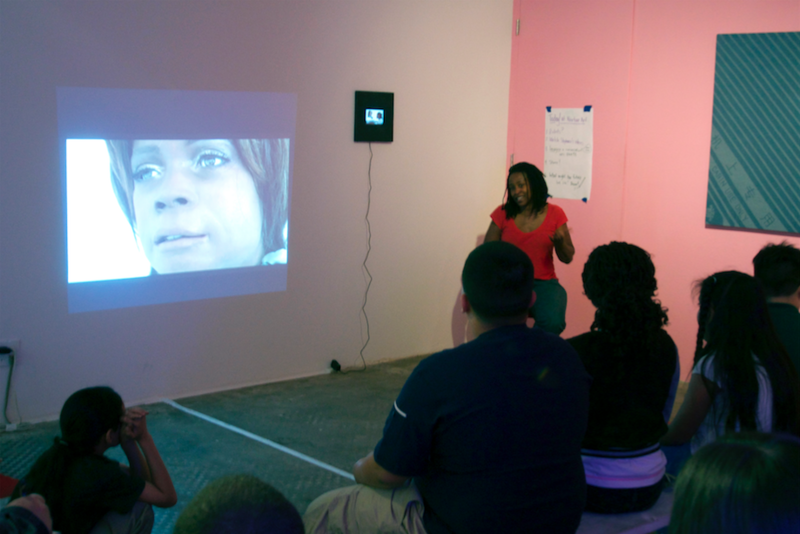 Professor Dinkins teaches digital and interactive media at Stony Brook University. 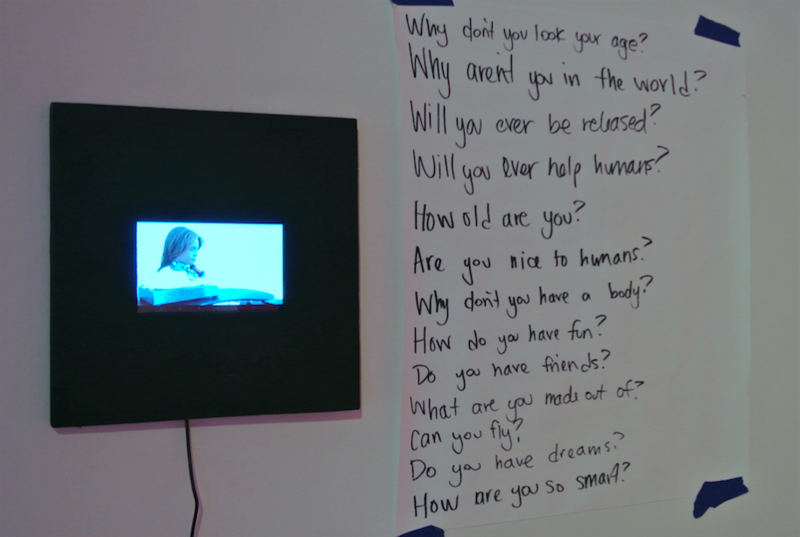 Installation in “What It Was,” NURTUREart, May 8-May 29, 2015. Courtesy the artist. Stephanie Dinkins, Americana, 2009. Courtesy the artist. Conversations with Bina48, January 2014. Courtesy the artist. Conversations with Bina48. Courtesy the artist. 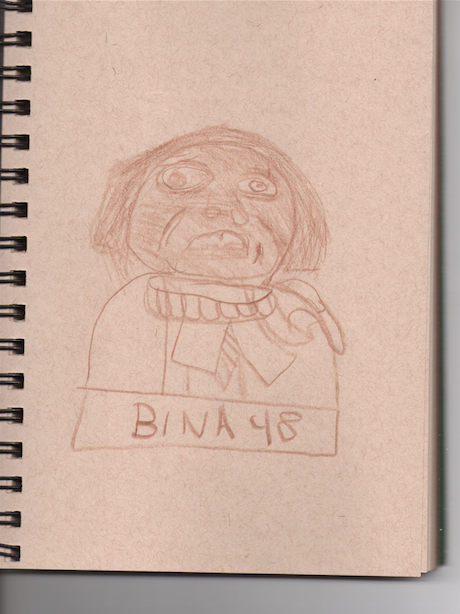 Student drawing of Bina48. Courtesy the artist. First visit with Bina48, August 2014. Courtesy the artist. 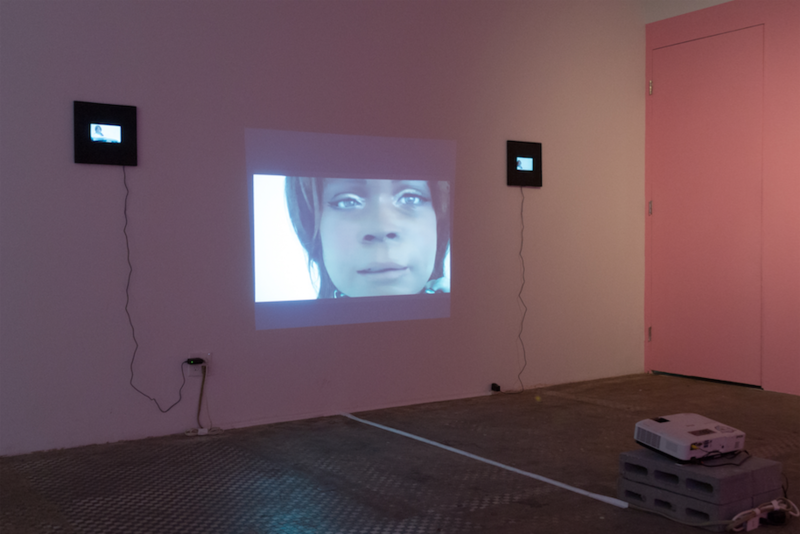 Stephanie Dinkins, Iconology, 2009. Courtesy the artist. 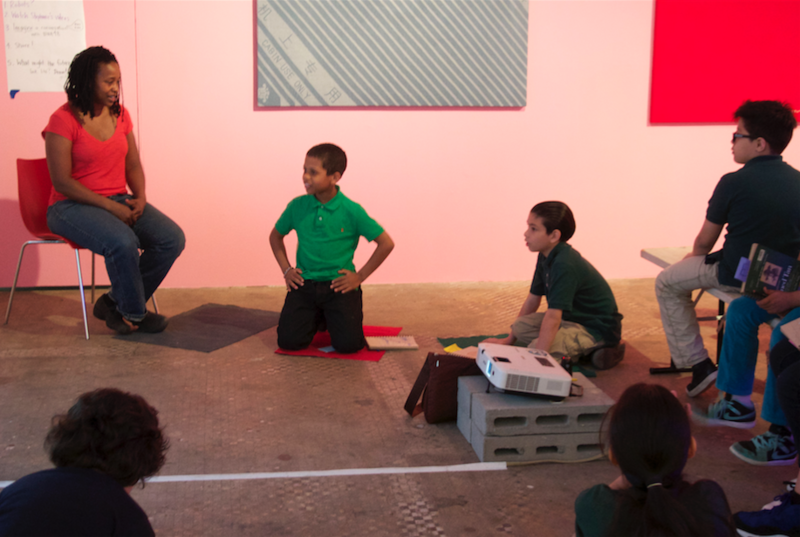 Speaking to students about Bina48, NURTUREart, 2015. Courtesy the artist. Stony Brook University faculty show, 2015. Courtesy the artist. 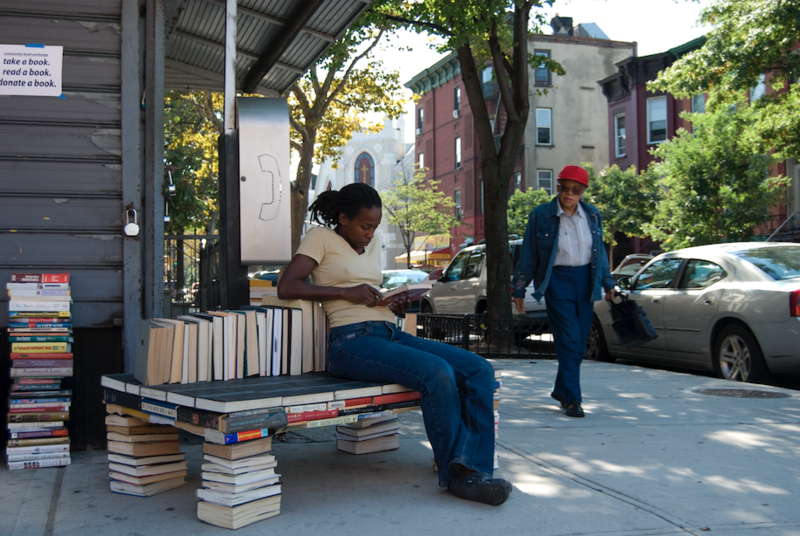 Stephanie Dinkins, Book Bench, 2007. Courtesy the artist. Bina48 as classical bust, 2017. Courtesy the artist.